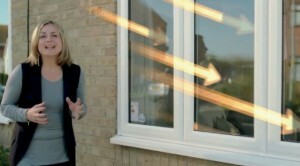 Now, as some of you have bought to our attention, in the new Anglian Home Improvements EcoGain advert it appears that Phillipa Forrester turns the thermostat up for some people. It may appear that way to some of you as your thermostat is different to the one used in the advert, but I thought I would write a blog to clear this one up and make things a bit easier to understand. This part of the advert has caused quite a stir for a lot of people as it appears we are contradicting ourselves, saying you can turn your thermostat down, but in fact appear to turn it up. Well, due to the type of thermostat in the advert we are turning the thermostat down, but it doesn’t mean that your thermostat at home is the same. 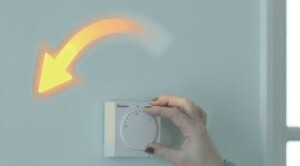 This is the type of thermostat used by Anglian in the advert. As you can see Phillipa Forrester is turning the dial anti-clockwise, which is turning the temperature down, as the numbers are on the dial. 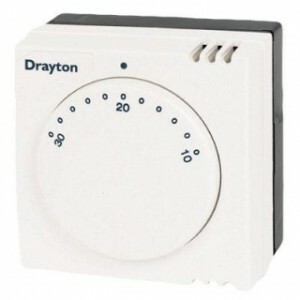 This is a Drayton RTS1 Standard Model Room Thermostat 240v. Some manufacturers work differently, using a clockwise mechanism to lower the temperature, we are presuming those raising the issues own this type of thermostat.